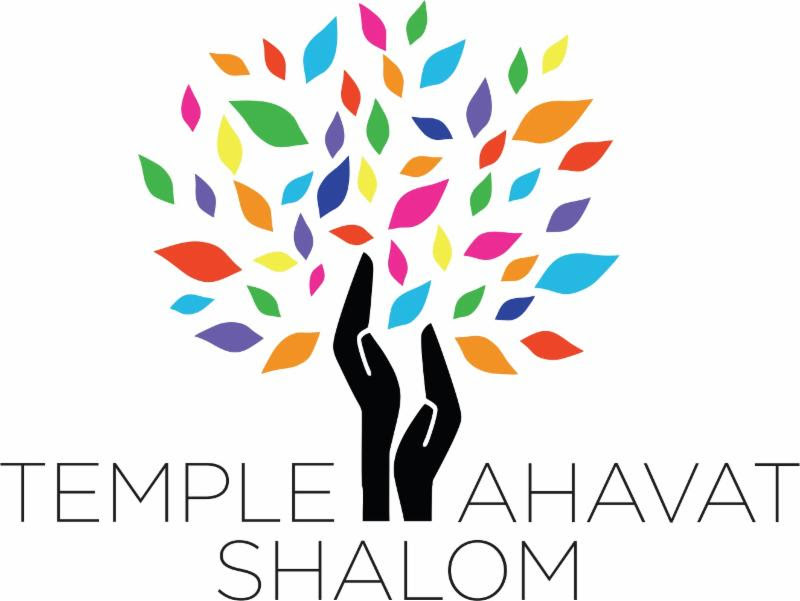 The Men of Temple Ahavat Shalom held their annual MoTAS Shabbat service on January 11. All elements of the service were led by our members and the bema band was composed entirely of MoTAS members (Michael Thornhill, Les Birken and Frank Soronow). Brian Hatkoff and Joe Blachman sang for the service. The service was created by Bob Levine. Howard Miller, MoTAS president, provided a D’Var Torah and a “State of MoTAS” message. While a copy of the message can be downloaded here, his message described the many temple projects undertaken by The Men of TAS and the various needs at the temple and religious school to which MoTAS donated several thousands of dollars. These included the Avodah program, camperships for needy students, the foyer bathroom renovation, the addition of bema hand-held microphones, a pressure washer for the ECEC, and the renovation of our main office kitchenette. As an example, when there the main kitchen water heater failed, The Men of TAS provided $3,000 toward the purchase and installation of a new industrial grade water heater. Roger Lowe, the MoTAS 2018 Man of the Year then announced the 2019 MoTAS Man of the Year, Frank Soronow, our immediate past president. A wonderful Oneg was provided by TAS Sisterhood. At the MoTAS Shabbat on January 11th, Frank Soronow was announced as the MoTAS Man of the Year. The MRJ Man of the Year Dinner, where our honoree will be feted, together with the honorees from other MRJ congregations from the MRJ Pacific Southwest region, is Saturday, March 3, 2019 at Temple Beth Hillel in Valley Village. The cost of the dinner is $40, and you can RSVP now by clicking here. RSVPS are due by Tuesday, February 19. The Men of Temple Ahavat Shalom hosted a wonderful Tu B’Shevat Seder and program for the fifth through seventh grade classes from our religious school. A number of teachers and parents also participated. Each student family brought one component of the Seder meal to share and The Men of TAS provided everything else. Daniel Faigin developed the delightful service in which every student had a chance to lead a reading. Cantor Ken led the group in song while Rabbi Samansky and Rabbi Kalfus provided “commentaries” to various portions of the service. Everyone had a nice time and the Men of TAS hope to support many future programs. Our annual Men’s Seder, which will be joint with Temple Beth Hillel and held at Temple Ahavat Shalom, will be Sunday, April 7. Mark your calendars now. We’re just starting the planning for this event, and are looking for volunteers to help prepare the traditional Seder foods: Charoset, Hard Boiled Eggs, etc. If you would be interesting in help with this event, please contact Daniel at faigin@cahighways.org. Present: Howard Miller (President), Hal Bass (Secretary), Les Birken, Daniel Faigin, Brian Hatkoff, Michael Kantor, Ed Lapporte, Bob Levine, Roger Lowe (Treasurer), Larry Pfefer (VP), Kathy Pullman, Mike Rayfield, Steve Rosen, Bill Shapiro, Bernie Singer, Frank Soronow (Past President), Sandy Stern, Mike Thornhill, Scott Yollis. President’s Report: Howard congratulated Frank Soronow on becoming MoTAS Man of the Year, and Frank, in turn, expressed his deep appreciation for this honor. Howard acknowledged MoTAS members who provided musical accompaniment (Les Birken, Joe Blachman, Brian Hatkoff, Frank Soronow and Mike Thornhill), commentary (Daniel Faigin, Bob Levine, Brian Hatkoff, Roger Lowe, Frank Soronow and Howard Miller), and readings during the annual MoTAS Shabbat on January 11. Howard read a note of gratitude from Rabbi Alan Henkin for the MoTAS donation in memory of Rabbi Henkin’s son, Matthew. The kitchen has a new water heater, thanks in large part to MoTAS for a $3,000 donation. Treasurer’s Report: Deferred until the February 10, 2019, meeting. Israeli Art Show & Sale at TAS, January 24-27: Howard Miller introduced, and Bob Levine seconded, a motion to donate $150 for food at the Israeli Art Show. The motion was unanimously approved. Donation to Men of Reform Judaism: Bob Levine proposed, and Daniel Faigin seconded, a motion to donate $350 to MRJ for their on-campus activities in lieu of paying the registration fee for MoTAS member and MRJ officer, Brian Hatkoff, to attend the MRJ national meeting in Newark later this month. The motion carried unanimously. Dining for Dollars: This month’s fund-raiser (10% donated to MoTAS) will take place at Weiler’s Delicatessen in Northridge, Tuesday, January 15. People can dine-in at any time of day, but they will need to present to their server a flyer available on the MoTAS website. Tu B’Shevat Seder, Sunday, January 13: The Seder was held from 9-10:45 am in the Social Hall for the 5th, 6th, and 7th grade Religious School classes and their parents. MoTAS members set the tables with Israeli-style nourishment (almonds, dates, figs, grape juice, olives, pomegranate seeds and raisins) and cleaned up. Daniel Faigin composed the service and conducted it with our TAS education director, Rabbi Dalia Samansky, and Cantor Ken Cohen. Rabbi Arturo Kalfus also participated. Adjournment and Next MoTAS Meeting: The next MoTAS meeting will take place Sunday, February 10, 2019, at 8:45 am.